The Heat Pro Ceramic + ion is one of the amazing products I chanced upon at Beautyworld this year. Which basically helps distribute the hair wider which in turn helps to dry and style them faster. To save the scalp from being scratched off. 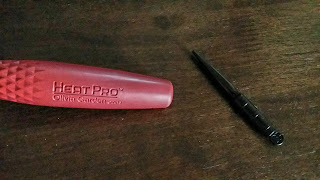 This keeps the top of the brush cool and keeps the air flowing. Keeps the handle from slipping. Eliminates frizz and fly-aways and boasts of keeping hair healthier and shinier. Now that the fancy terminology is out of the way let's discuss if the brush is as good as it claims to be. - The brush is light in weight, which is good if you out to blow dry long hair. your hands won't get tired too quickly. 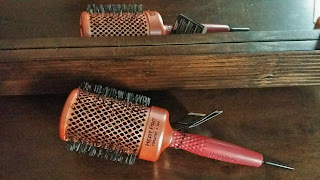 - The brush does retain the heat which works as a dual action drying system. In short the dryer blows hot hair from the top and the brush stays warm behind the hair, helping it cool and style faster especially on the inside which generally is the problem area when it comes to blow drying at home for people like me who have thick hair. - Static cases flyaways many a times, the heat pro does help in reducing them. - It comes with a cute Retractable pick (you see that black toothpick kind of thing in the photos? Yes it's that). You can actually take it out and invert it to use and put it back in when done. It took a while to realise it was there, but it was a fun surprise when I found it! - I always use a serum to protect my hair from the heat. This helps to keep them shiny and healthy. The brush claims to be able to do that, but I'm not buying that. I've been using the brush for almost a month and I don't see the brush making a difference to the health of my hair. I still believe goods and healthy eating habits and major responsible for that. Overall I like the brush. 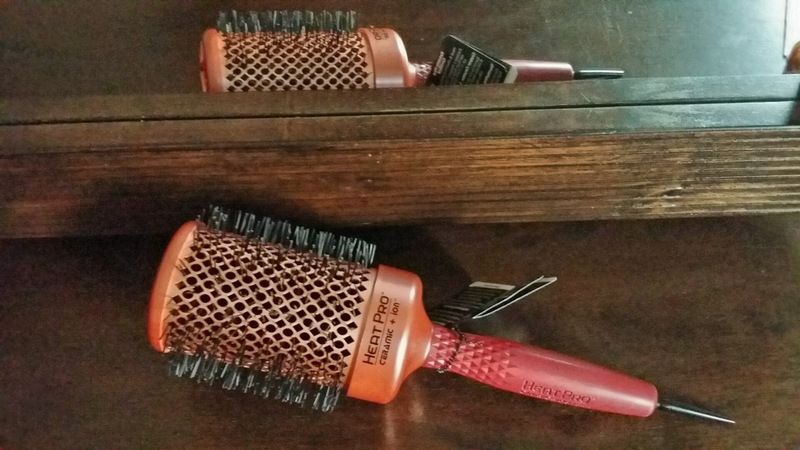 Its light, the short bristles make it easy to clean and it helps drying my hair much quicker compared to some of the other brushes I've used. At Beautyworld I was told the price of the brush was Aed 90 and that it would be available in Sephora along with an existing range of brushes from the same makers. They might also be sold in some saloons. So if you find one, please come back and share the information with all the other readers.